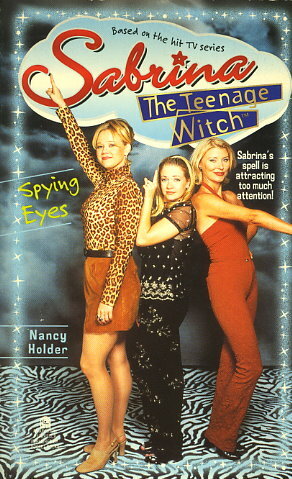 Sabrina is psyched when her aunts tell her about the next witch holiday: All-You-Can-Cast Day, when she can cast all the spells she wants without worrying about all the usual rules. The next morning, all the spells will reverse and the day will begin again, with the mortals none the wiser. Bored by studying for her witch's license, Sabrina enjoys the chance to let out all her magical impulses and meddle in her friends' lives with no bad side effects. After her refreshing day of freedom, Sabrina is ready for normal life again -- until she discovers that one of her spells survived the night...but which one? Meanwhile, a team of government scientists has descended on Westbridge, searching for signs of magic. Can Sabrina throw the men in black off the trail...before they spy her spell?